In just under a month, Pat McCaffrey will have a chance to win an Olympic gold medal. For most people, this would be a lifetime achievement that cannot be topped. Most people haven’t already beaten cancer. 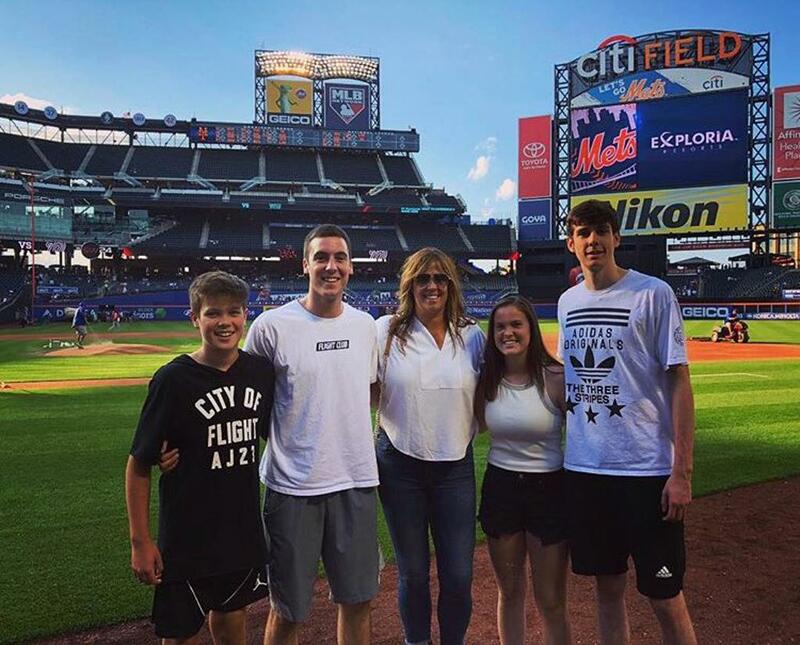 This is the case for McCaffery, a 17-year old Iowa-native and a member of Team USA’s 3-on-3 basketball team participating in this fall’s Youth Olympic Games in Buenos Aires, Argentina. McCaffery is a super-talented prospect. A 6-foot-8 swingman set to graduate in the spring of 2019, McCaffery is a long, athletic, multi-tooled swingman, and he plays the game with raw emotion. The son of Iowa men’s basketball coach Fran McCaffery, Pat has been around the game his entire life. He’s a USA Basketball veteran, attending two camps in the past, and he starred for D1 Minnesota, a top-five ranked grassroots basketball club throughout the spring season by PrepCircuit.com. His success and potential make it easy to forget that he’s already faced and overcame thyroid cancer. 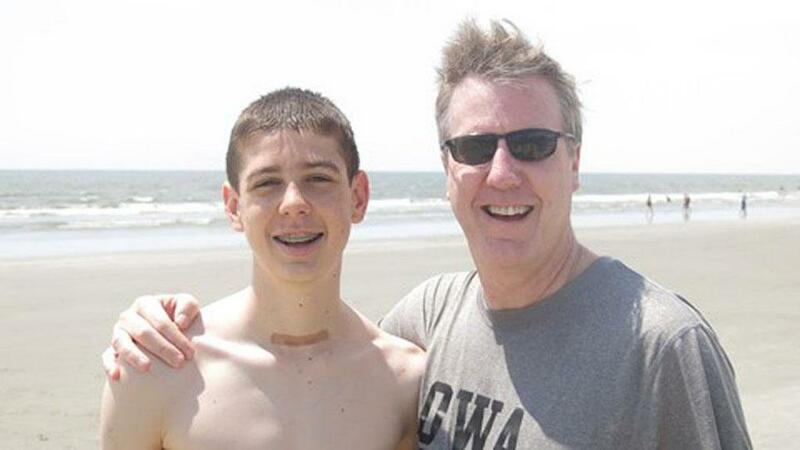 On March 19, 2014, when McCaffery was 14, he underwent surgery for a thyroid tumor. After learning that it was cancerous, McCaffery underwent a second surgery on April 17 and started six weeks of Iodine treatments. McCaffery was in a radioactive state during the medication cycle, meaning his family members had to quarantine themselves from him during that time. McCaffery passed a June 13 scan that year and was declared cancer free. Four years removed, the Iowa City West high school product still has to be tested on a consistent basis. Just like basketball, the fight against his cancer was a team effort. The event, taking place October 6-18, sees McCaffrey join forces with three other elite basketball players under the age of 18 in J’yare Davis, Carson McCorkle, and Dudley Blackwell. The foursome will be competing against 19 other 3-on-3 teams from across the globe. While they’ve bonded off the court, their on-court play has been exceptional. In March, Team Quest racked up an 8-0 record in USA Basketball’s qualifying round in Colorado Springs. In the eight victories en route to a championship, McCaffery was named the tournament’s Most Valuable Player. His biggest asset was on full display - versatility. What’s the biggest difference between 3-on-3 compared to 5-on-5? McCorkle, McCaffrey’s teammate and a sophomore star for Greensboro Day High School in North Carolina, doubled down on the pace of play. McCaffery also mentioned spacing, as well as the benefit of good cardio and timely substitutions, as being crucial in the 3-on-3 format. The last bit of advice he gave was more strategy. Being the son of a high-major college coach, it makes sense that McCaffery pays attention to strategy. Committed to play for his father as Hawkeye in 2019, there are definite drawbacks of ‘living under a microscope’ in a college town, as McCaffery put it, but he said the good outweighs the bad. Everything added up, McCaffery is the full package for a budding basketball prospect. He’s battle-tested, mentioning the likes of Duke freshman Zion Williamson and 2019 top five recruits Cole Anthony and Matthew Hurt as his best competition to date. He’s more than ready to represent his country, but the full impact of the opportunity hasn’t sunk in quite yet. Like normal, McCaffery will have his support system in tow. First things first, an Olympic gold medal.